Sunday, February 19, 1865.Washington, DC. 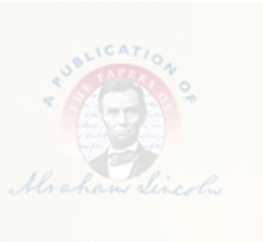 Lincoln submits papers of Col. James C. Briscoe to Sec. Stanton , "simply remarking that they seem to be good and ample." Abraham Lincoln to Edwin M. Stanton, 19 February 1865, CW, 8:307.